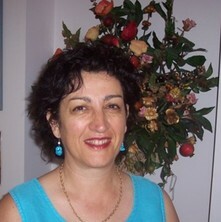 Dr Venerina Johnston is a researcher and Associate Professor in Physiotherapy at The University of Queensland. She has qualifications in physiotherapy, occupational health and safety and work disability prevention. Her research interests are in the prevention of work-related musculoskeletal problems and the prevention of work disability following a compensable injury. Venerina has a rich background in occupational rehabilitation and injury management from the perspective of the insurer, provider and employer. There is a debate over the source of neck pain in office workers. This debate is focused on two main areas (1) what is the source of pain and (2) can asymptomatic and symptomatic workers be differentiated on any physical measures? This research project is focused on understanding the source of pain to help target interventions for the prevention of neck pain in office workers. Various interventions have been trialled to address painful neck disorders in office workers. As the workplace is becoming the arena for many health initiatives, my research is exploring interventions which can be implemented at the workplace and the impact on presenteeism and absenteeism of these interventions. We are currently testing the impact of an exercise plus ergonomic intervention to impact productivity and neck pain in office workers in Brisbane. Please contact me if your organisation is interested in participating. It is recognised that line supervisors play a pivotal role in the return-to-work process. However, the specific knowledge, skills and behaviours necessary for supervisors to assist workers return to work after a compensable injury or illness have not been identified in the Australian setting. This project identified the needs of supervisors who are required to support staff returning to work after a mental health disorder or musculoskeletal injury. The results have provided the evidence base for the development of a training program specific to the Australian culture and compensation environment. A training program is currently undergoing pilot testing. The long-term benefits of such a training program will be the prevention of work disability and a reduction in the duration and costs associated with compensable injuries. Please contact me if your organisation is interested in participating or if you would like to undertake a PhD to complete this project. This study explores whether adding self-management training to vocational rehabilitation had an impact on work readiness, health efficacy and pain. We developed and tested a new model for the occupational rehabilitation of workers with chronic compensated musculoskeletal disorders by adding self-management training to the usual care. Self-management programs have been shown to be effective for chronic conditions in particular diabetes, heart disease, asthma and arthritis, but is new in the field of work disability. This project was funded by an Australian Research Council linkage grant. Journal Article: Are Measures of Postural Behavior Using Motion Sensors in Seated Office Workers Reliable? A combination workplace intervention for neck pain to reduce the economic burden of health-related productivity loss among office workers: An employer's perspective. Line supervisors are important in the return to work of injured workers. Based on identified competencies required by supervisors to better support workers returning to work after an injury, a training program will be developed and implemented in high risk industries. It is believed that this training will impact supervisor’s knowledge, confidence and behaviours related to return to work and have downstream impact on the number and duration of workers compensation injuries. Johnston, Venerina, Straker, Leon and Mackey, Martin (2015). Musculoskeletal health in the workplace. In Gwendolen Jull, Ann Moore, Deborah Falla, Jeremy Lewis, Chris McCarthy and Michele Sterling (Ed. ), Grieve's modern musculoskeletal physiotherapy 4th ed. (pp. 379-387) Edinburgh, United Kingdom: Elsevier. Are Measures of Postural Behavior Using Motion Sensors in Seated Office Workers Reliable? Orr, Robin Marc, Pope, Rodney, Coyle, Julia and Johnston, Venerina (2015) Occupational loads carried by Australian soldiers on military operations. Journal of Health, Safety and Environment, 31 1: . Orr, Robin M., Pope, Rodney, Johnston, Venerina and Coyle, Julia (2013) Soldier self-reported reductions in task performance associated with operational load carriage. Journal of Australian Strength and Conditioning, 21 3: 39-46. Nitz, Jennifer C. and Johnston, Venerina (2012) Self-rated confidence versus examined competency of safe patient handling from a physiotherapy student perspective. American Journal of Safe Patient Handling and Movement, 2 3: 72-78. Orr, Robin M., Johnston,Venerina, Colye, Julia and Pope, Rodney (2011) Load carriage and the female soldier. Journal of Military and Veterans’ Health, 19 3: 31-38. Addressing occupational factors in the management of low back pain: Implications for physical therapist practice. Orr, Robin, Pope, Rodney, Johnston, Vnerina and Coyle, Julia (2011) Load carriage and its force impact. Australian Defence Force Journal, 2011 185: 52-63. Orr, Robin M., Pope, Rodney, Johnston, Venerina and Coyle, Julia (2010) Load carriage: Minimising soldier injuries through physical conditioning - A narrative review. Journal of Military and Veterans' Health, 18 3: 31-38. Long, Maryann, Johnston, Venerina and Bogossian, Fiona E. (2011). Is our work as midwives hurting us? Prevalence and risk factors for work related upper quadrant musculoskeletal disorders in midwives. In: 29th Triennial Congress of the International Confederation of Midwives, Durban, South Africa, (). 19-23 June 2011. Orr, R. M., Pope, R., Johnston, V. and Coyle, J. (2010). Load carriage: Minimising soldier injuries through physical conditioning – A narrative review. In: PREMUS 2010 book of abstracts. Seventh International Scientific Conference on Prevention of Work-Related Musculoskeletal Disorders (PREMUS 2010), Angers, France, (401-401). 29 August - 2 September 2010. Wong, T. L., Johnston, V. and Souvlis, T. (2010). MUSCLE REST PATTERNS IN THE UPPER TRAPEZIUS AND SPLENIUS MUSCLES DURING TWO COMPUTER BASED TASKS IN EXPERIMENTAL AND CLINICAL PAIN. In: PREMUS 2010 book of abstracts. Seventh International Conference on Prevention of Work-related Musculoskeletal Disorders, Angers, France, (). 29th Aug – 2nd Sept, 2010. Johnston, Venerina (2007). Work-Related Neck Pain in Female Office Workers: A Psychosocial and Physiological Profile PhD Thesis, School of Health and Rehabilitation Sciences, University of Queensland. The development of a novel method of recording centre of gravity location in bipedal stance in healthy adults.